How Can I Make My Scratches Heal Fast? Scratches are superficial wounds on the surface of the skin. While scratches are generally mild wounds that don't cause long-term damage to the skin, allowing your scratches to become infected prolongs the healing process and increases your risk for scarring. Keep scratches clean, dry and bacteria-free to make sure they are only fleeting marks on your skin. Clean the scratch with water and soap. Since scratches open your skin to infection, it's imperative that you keep them clean, even if they don't seem deep or serious. Apply a thin layer of antibiotic ointment over the surface of the scratch. This creates a temporary barrier between the scratch and dirt and germs, while killing any bacteria that could cause infection and slow the healing process. 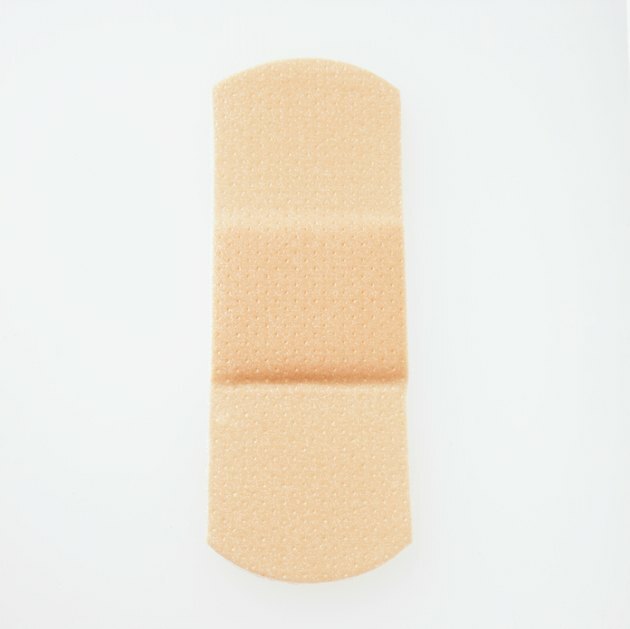 Cover your scratches with a bandage only if they're on an area of the body that is susceptible to dirt or friction. Scratches heal well when exposed to open air, unless your clothing constantly rubs at the area and peels away the new skin healing over the scratch. Keep your hands away from the scratch as it heals. As the scratch heals over, a scab often forms to protect the open skin below. Peeling or picking at the scabs might be tempting, but it slows the healing process and leads to scarring when you don't allow the skin cells to generate and heal. Picking at scabs also transfers bacteria from your hands to the open wound, increasing your risk of infection. Watch the scratch for signs of infection. The time it takes for your scratch to heal depends on the depth and severity of damage, but if your scratch begins oozing a discharge becomes red and inflamed, feels warm to the touch or is painful, contact your doctor. The scratch is likely infected and needs antibiotics to clear the infection before it becomes worse. What Are the Causes of Recurring Cellulitis?